“A truly great mentor is hard to find, difficult to part with, and impossible to forget.” In short, a great mentor is invaluable. A mentor highlights areas of opportunity and improvement where one is oblivious. However, mentoring is a two-way street. You get out what you put in. Keith Lee of Associate’s Mind – one of my favorite legal blogs – posted an excellent piece on the value of establishing a mentor and cultivating the relationship. Great food for thought for any young professional. Here’s a brief excerpt. Often times, the first word that people use to describe mentors is “cheerleader.” That a mentor is someone who encourages and praises you. I have never found this to be the case. 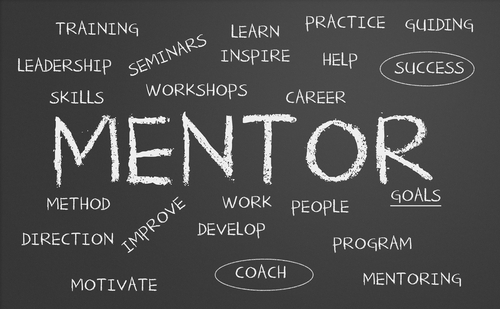 In fact, if all someone who was theoretically “mentoring” me did was offer praise and encouragement, I would not consider them to be my mentor. Sure there will be times that a mentor will offer praise. But those times will likely be few and far between. A mentor who only gives praise is more akin to a fawning parent. Nice to have, but not the purpose of a mentor. And growth is not easy. Growth is change. Growth is painful. Growth involves leaving behind certain aspects of your old self in order to make room for what you want to become. Continue reading at, Associate’s Mind Primer For Young Professionals Seeking Mentors. This entry was posted in Lessons Learned and tagged attorney, mentors, young professionals, Youth Lawyers Division.